Books to Dream: Epic Recs with Brianna! For Brianna (chosen by me): Shadow and Bone by Leigh Bardugo! I chose this book because I love it so insanely much and I really want Brianna to read it so we can talk about it!!! Also, this book makes me feel all sorts of things (like clawing my eyes out, for example) and I kinda want to ruin Brianna's life too cause I'm a great friend. Sharing is caring, right? 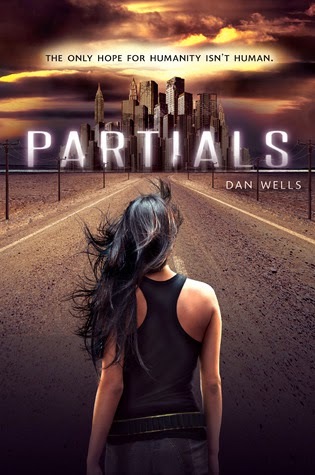 For Me (chosen by Brianna): Partials by Dan Wells! I've been wanting to read this and I think I'll like it, but I'm really not in the mood. That said, Brianna recommended it, so read it I shall. We also each have a back-up book in case this book doesn't come in from the library (not likely for me, since I already have Partials in my possession). I am not going to give those away at this time because if this months picks work out, then the back-ups will be for the following month. Thanks for reading! I'm hoping we like each other's picks! Hi ladies! Thanks for joining us. We're super excited that you're doing this feature as well. 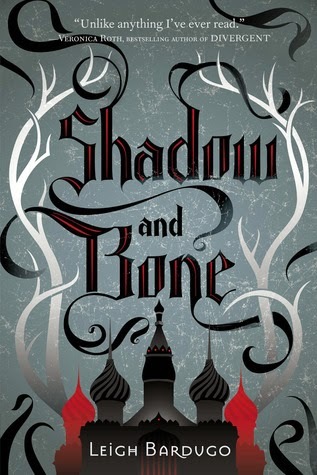 I love that you chose Shadow and Bone - I adore that book so much. No problem! I think it'll be super fun, so thanks for opening it up to everyone. (: I can't wait for Brianna to read Shadow and Bone, and I'm glad you loved it too! Have you read Siege and Storm as well? Thanks again for stopping by and for creating Epic Recs!